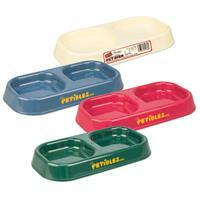 Small Double Pet Bowl made out of plastic. Assorted Only. One location imprint. Manufacturer sticker on reverse side. 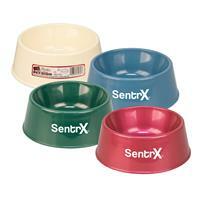 Medium Double Pet Bowl made out of plastic. Assorted Only. One location imprint only. Manufacturer sticker on reverse side. 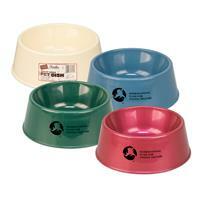 These dog bowls are great for pet stores, veterinarians and animal leagues. Great for your next fundraiser or community service project. Plastic; available in assorted only. Manufacturer sticker on reverse side. Portable to take on a trip at the beach or just out in the backyard. Available in 6" (32oz.) or 9" (144oz. 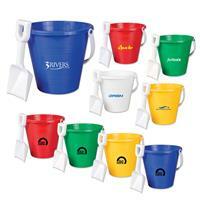 ), our plastic sand pails are perfect promotional giveaways for resorts, vacation spots, beach clubs or spas! Includes a white plastic shovel. 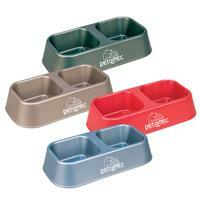 Ideal for daycares, travel agencies and community centers. Available in assorted colors (77071X), blue (77071BX), green (77071GX), red (77071RX), white (77071WX), and yellow (77071YX). One color imprint. Portable to take on a trip at the beach or just out in the backyard. Available in 6" (32oz.) or 9" (144oz. ), our plastic sand pails are perfect promotional giveaways for resorts, vacation spots, beach clubs or spas! Includes a white plastic shovel. Ideal for daycares, travel agencies and community centers. Available in assorted colors (7705X), blue (7705BX), green (7705GX), red (7705RX), white (7705WX), and yellow (7705YX). Shove on through your next marketing campaign with this handy beach-themed promotional item! 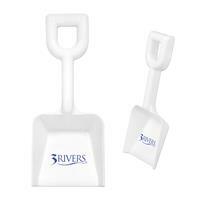 Our white, plastic shovel is widely used for groundbreaking events such as school openings and new construction. Measures 8" for convenient portability and multi-usage. Also great for resorts and beaches. An ideal giveaway at tradeshows, industry conventions and boardwalk festivities.